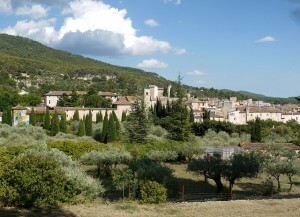 The Var is one of the six departments in the Provence-Alpes-Cote-d’Azur region in the south of France. Unusually, it’s named after a river that doesn’t actually flow through it – the Var can be found in the neighbouring Alpes-Maritimes to the east. 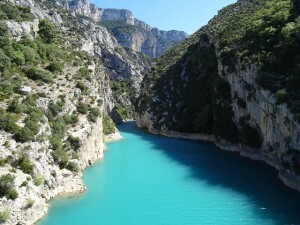 It might not have its own distinctive river, but the Var does enjoy some spectacular natural beauty, including a 420 km stretch of sandy coastline, the stunning “Golden Islands”, and the majestic Gorge du Verdon, Europe’s answer to the Grand Canyon. As if this wasn’t enough, it also has plenty of idyllic, forested countryside studded with unspoilt hill top villages. The Var is also a world leader in rosé wines, boasting 450 domaines and 4 AOCs, and producing around 150 million litres a year. 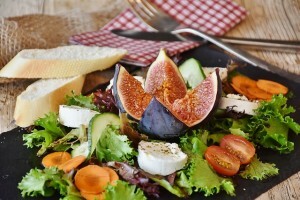 Olives, figs, cut flowers, palm trees and honey make up the Var’s other important agricultural products. Yet for all this, by comparison to its glitzier neighbour, the Alpes-Maritimes, the Var is more low key and understated, getting fewer tourists, and making it an ideal destination for those who prefer a gentler, more rural lifestyle. Best known as France’s largest military port, Toulon has the deepest, most majestic natural harbour in the Mediterranean, bordered by high, limestone hills topped with umbrella pines. 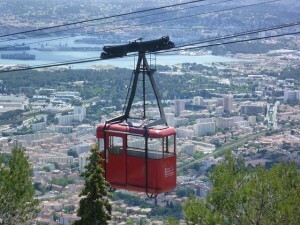 A cable car will take you up to the top of Mont Faron, from where there are spectacular views, right down to La Seyne sur Mer, a town that’s reinventing itself from ship building to tourism, with a new marina and park. 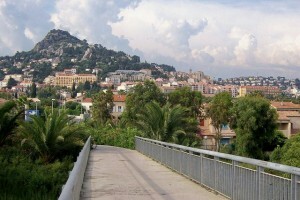 Much of Toulon was flattened during WWII, and subsequently rebuilt. Attractions include a Musée d’Art containing a large collection of contemporary art. In the Musée de la Marine there are miniature versions of the ships once built here. Every morning there is a colourful fruit and vegetable market, and a fish market. Around the harbour is the city beach, the site of the oldest fort, and the Musée Naval du Fort Balaguier, while the inner bay, or Petite Rade, has pretty coves, wild beaches and fishing villages. There is an air of grandeur to Hyères, with its boulevards lined with palms, lemon and orange trees. The oldest resort on the Riviera, this is a city of impressive mansions, but also of narrow passageways, a hilltop citadel and medieval fortifications. It’s in and around Hyères that the Var’s cut flowers are grown, as well as the 100,000 palm trees that are exported every year. In April Hyères hosts an International Fashion and Photography Festival, and in July the MIDI French Riviera Music Festival. Hyères also offers access to the three Iles d’Or, or Golden Islands, all of which are a “Land and Sea National Park”, with sandy beaches and coves, cliffs and pine forests, and rich in flora and fauna. Of them, Porquerolles is the largest, and has three vineyards. It remains largely unspoilt, with beautiful beaches, rocky points and gorges, olive and fruit trees. Port-Cros is the most mountainous, covered with pine forests, and home to a huge variety of birds. Its surrounding waters are rich in colourful fish and plant life. The third island, Ile du Levant, somewhat incongruously, is home to both the French Navy and France’s first nudist colony, established in 1931. Once an unassuming fishing village, St-Tropez is now an internationally renowned seaside resort and favourite of the jet-set. It has a pretty old port, several beaches and glamorous hotels, but it’s also been hugely popular with artists, having inspired a variety, from Matisse to David Hockney. There are lively markets held on Tuesday and Saturday mornings. Those in the know fondly refer to the town as St-Trop, without pronouncing the ‘p’ and calling it Saint-Too-Much – although with around 100,000 beach-goers a day in high season, many would consider it just that. 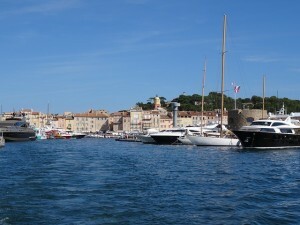 Property hunters should bear in mind that St Tropez faces north, and can be very windy and cold in winter. With villas here running into the mega-millions, buyers might find pretty villages nearby, such as Gassin and Ramatuelle, somewhat more affordable. Fréjus is an official “Town of Art and History”. It was founded in 49BC by Julius Caesar, to rival the Greek Marseille, and some Roman remains still exist, among them the Amphitheatre Romain, an aqueduct and the vaults of the Theatre Romain. There is also the 12th century Cathedral St-Leonce, to which an impressive pair of Renaissance doors were added in the 16th century. 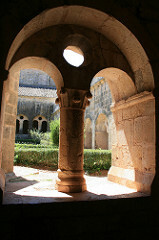 A 12th century cloister hosting an archaeology museum of Roman remains are also worth visiting. This is the place for sailing enthusiasts, with five different harbours. There are sandy beaches, inlets and creeks, carved out of the red rock of the Esterel mountains. It’s also a business city, hosting conferences and functions in its Palais de Congres, and there are many annual events, including a jousting tournament and a Mimosa week. The commercial, educational and administrative centre of the area. The old town has ramparts, towers, squares and ancient doorways. There is a lively market every Saturday morning. This is the main commercial and shopping centre in the Var, and has tree-lined avenues, a bustling old town with medieval properties, a 17th century clock tower and a Museum of Provençal Traditions, which focuses on the history of agriculture and crafts in the region. South-west of Draguignan, Lorgues is a pretty town known for its vineyards and olive groves. Here you’ll find some twelfth century fortifications, a clock tower and some ancient baths. Just north of Lorgues, this authentic Provençal village is surrounded by oak forests, olive groves and vineyards, and has narrow streets, small squares with fountains, and the remains of a chateau demolished during the French Revolution. Not to be missed is a visit to the Thoronet Abbey, one of Provence’s three Cistercian monasteries, and built in freestone, without mortar, in the 12th century. A listed monument, it exudes minimalism, simplicity and purity, tucked away in the Mediterranean forest. The surrounding area has many footpaths, cycle paths and bridle paths. Just north of Brignoles you’ll find Cotignac, arguably one of the prettiest villages in the Var. A dramatic series of 80m high tufa cliffs hang over it, and there are caves within these rocks in which early inhabitants once lived. In medieval times these natural defences were reinforced with a castle, of which two ruined towers remain. The village below was mostly built in the 17th and 18th centuries. It’s open and airy, with shady plane trees and fountains, a bell tower and a 16th century church. Every summer the village holds a music festival. This village lies within the Parc Naturel Regional du Verdon in the northernmost part of the Var. It has narrow streets that open up onto squares and fountains, and the remains of a medieval castle looking down on the village, as well as chapels, original gateways and village fortifications. Markets are held on Wednesday and Saturday mornings, and there is a truffle market from November to February on Thursdays. Callian, Bagnols-en-Foret, Fayence, Saint-Paul-en-Foret, Seillans, Tourrettes, Montauroux and Tanneron. These hill top villages are perched on the first foothills of the Alps, surrounded by pines and olive trees, with views down to the distant bay of Fréjus-St Raphael. They are ancient strongholds, and enjoy a rich heritage of chapels and churches, medieval remains and ancient gates. All have retained their authenticity and charm. In addition, Mons and Callian have been designated “Villages of Character”, being particularly noted for their natural, historic and architectural treasures. The Massif des Maures, one of the wildest and oldest areas of Provence, stretches between Hyères and Fréjus, rising to 771 m. It covers almost a quarter of the Var area, and is densely forested with cork oaks and chestnut groves. It has varied landscapes and is popular for hiking and horse-riding. The Massif de l’Esterel, with its distinctive red volcanic rock, rises to 618m. It covers an area of 320km², of which 130km² is protected, and offers hiking and mountain biking trails. In the west lies the Massif de la Sainte Baume mountain ridge, a chalky, wall-like mountain that reaches 1,147m. It was said to be where Mary Magdalene spent her final years, and as such has become one of the West’s most visited place of pilgrimage. Europe’s very own ‘Grand Canyon’ this gorge, carved out by the Verdon river is spectacular, and is now a national regional park. Incredibly, it was only discovered in 1905, which is hard to imagine given that it’s 21 km long, up to 700 metres deep and between 100 – 1500 metres across, with a turquoise river flowing through its limestone cliffs. Boasting an incredibly rich animal and plant life, it’s a popular centre for adventure tourism, and a great base for activities such as walking, canoeing, climbing and cycling. 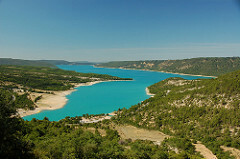 Directly west of the Gorge du Verdon lies the spectacular reservoir, the Lac de Ste Croix, a space for public bathing, canoeing, pedal boating and kayaking. The Coteaux Varois wines received their AOC status in 1993. Over 60% of production is rosé wines, with 33% being red wine and the remainder white. The main grape varieties are Grenache, Cabernet Sauvignon, Cinsaut, Mourvedre, Syrah and Carignan. Wines are produced throughout the Var, with vineyards of renown located in Hyères, Gassin, Lorgues, Cogolin and Les Arcs, amongst others. Bandol would be just another pretty town on the Riviera if it weren’t for one thing – its famous wine. The Bandol AOC covers the production of eight communes, producing the Mourvedre grape, which accounts for more than 50% of the blend, in both red and rosé wines. Grenache and Cinsaut usually fill out the remaining composition. Almost 70% of the production is red wine, known for its dark colour and rich vanilla, black fruits, cinnamon and leather flavours. The rose is characterised for its spicy, earthy flavours. As for other produce, a quarter of all French olive groves are in the Var, as well as 80% of France’s figs, and 800 tonnes of honey is produced here every year – all can be found in local markets. With its warm and sunny climate, relaxed way of life and beautiful coastline and countryside, the Var is a popular destination for buyers of many nationalities. While less pricey than its neighbour the Alpes-Maritimes, it’s still one of the more expensive areas to buy in France. Homes on the coast even more so, where at the lower end, a studio might cost €120,000, or a villa might set you back over €600,000. Properties inland are cheaper, and you’ll find a choice of village houses, farm houses and villas – swimming pools and outside space will add to the price. At the cheaper end, a village house might cost as little as €150,000, while a modern villa could set you back around €225,000. For those seeking a more traditional country property, prices range between €270,000 and €2,000,000 or more. The Var is serviced by Nice, Marseille and Toulon-Hyères airports.